Celebrated Iranian director Abbas Kiarostami is no stranger to The Criterion Collection, considering their releases of Taste of Cherry, Certified Copy, Close-Up, and Like Someone in Love during the past two decades. Before his death in 2016, Kiarostami's steady output included 40 short and full-length films that reflected his love for poetry, art, photography, and graphic design. 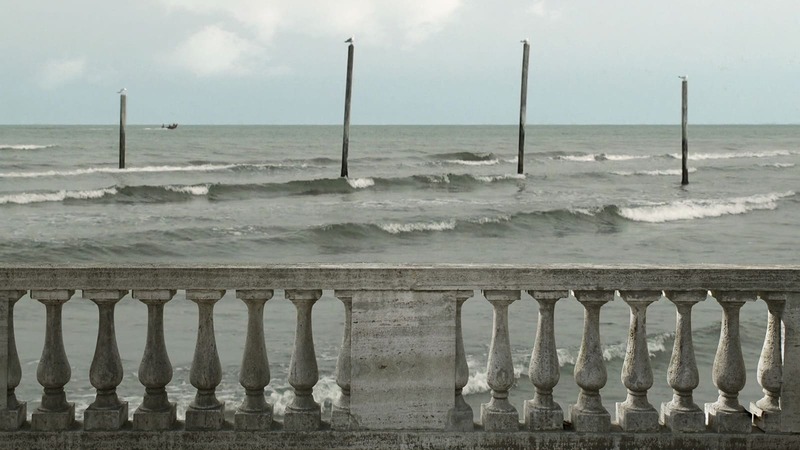 Both a culmination of his work and a meditative exercise, 24 Frames (2017) is Kiarostami's final film: developed during the last years of his life (with valuable contributions by visual effects supervisor Ali Kamali and sound recordist Ensieh Malekiand) and completed by his son Ahmad, this series of five-minute vignettes is assembled from one famous painting, several of the director's photographs, and his own imagination. As its title implies, 24 Frames collects two dozen vignettes ("frames"), created during a five-year period and presented in a purposely sequential order. 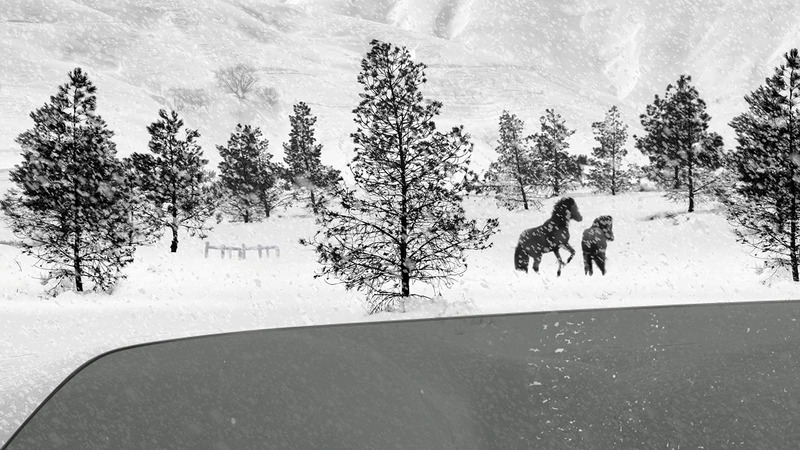 Kiarostami originally began the project as a way to turn famous paintings into moving images by digitally layering newly-shot or stock elements over existing pieces, eventually intended as museum exhibits. The first frame presented here, which uses Pieter Brueghel's painting "The Hunters in the Snow" as its backdrop, is the only one of this type that remains. It provides an interesting entry point into the other 23 frames, yet also hints that it's just the start of a more ambitious project. Given the director's lifelong passion for photography, it was almost inevitable that Kiarostami would change the process to include his own work, such as a photo of tourists transfixed by the Eiffel Tower. Adding in digitally-shot footage of random passers-by, the director also used gradual light changes to indicate a passage of time and, of course, city sounds to recreate an exaggerated version of that frozen memory. It's an interesting experiment that, like the bulk of 24 Frames, establishes a captivating mood despite the (purposeful?) lack of realism. It goes further, though. Other frames move further away from reality and into Kiarostami's imagination: many of these are isolated, snowy landscapes or rainy beach settings with birds, deer, other animals, and a few surprises along the way. Though admittedly interesting from a technical perspective -- they were, after all, completely assembled from separate elements -- these frames ultimately don't do much except provide a brief window into a fantasy setting. This isn't necessarily a bad thing, mind you: Kiarostami's son Ahmed, who carefully whittled down more than 30 mostly-completed frames to his intended 24, describes the finished product as similar to meditation. Some days, it's completely relaxing and puts willing participants in the right mindset; other times, it's maddening or (worse yet) dull. This all sounds like damning with faint praise, but anyone familiar with Kiarostami's output should enjoy what's on display here; total outsiders, on the other hand, should proceed with caution. Though accessible to just about anyone in small doses, the total experience will be more potent to someone who knows what to expect...but even then, they still might be surprised. Either way, Criterion's new Blu-ray -- which doubles as the film's Region A home video debut -- is objectively solid, at least from a technical standpoint: its top-tier A/V presentation goes a long way towards cementing the experience, even though the enjoyable bonus features could've used a bit more weight and depth. Presented in its original 1.78:1 aspect ratio (save for the first frame, which is closer to 2.00:1), 24 Frames looks fantastic on Criterion's new 1080p transfer. This was a purely digital production -- or at least assembled digitally -- and finished in the past two years so its clean, crisp appearance is no surprise. As a lot of these assembled elements are taken from completely different sources, several frames don't always exhibit a natural, uniform appearance and can vary in overall texture balance, noise level, and even resolution. However, any perceived imperfections are only distracting if you're really looking for them and, in other cases, are part of the source material and not a fault with the transfer or disc authoring. As many of the frames are black-and-white (roughly 75%, in my estimation), there's not a great deal of color here and, when it is, it's more muted and natural than vivid or over-saturated. Black levels are fairly consistent, while contrast levels -- though cranked up a little high at times, which leads to moments of black crush and white blooming as seen in the top image -- are either acceptable or by design. Overall, this is a great-looking transfer. 24 Frames' audio is similarly stylized and was either recorded from scratch or, like many of its visuals, assembled from existing elements. Either way, the DTS-HD 5.1 Master Audio mix here is a surprisingly large part of the overall viewing experience and does an outstanding job of capturing attention from start to finish. Channel separation is strong with very good placement, while panning effects and many weather-related elements (snow, wind, rain, etc.) make their presence known in all six channels. Other frames, though more subdued in comparison, do an equally fine job of establishing a natural atmosphere with less obvious means. As there's almost no dialogue, save for a few stray bits and several songs (intended to sound diegetic, even if they're not), no optional subtitles have been included during the film. Criterion's interface is smooth and easy to navigate with access to its timeline, chapters, and extras. The disc is locked for Region A players and comes packaged in a stocky keepcase with cover artwork by Katherine Lam. The accompanying fold-out Booklet includes photos, notes about the restoration, and an informative essay by critic Bilge Ebiri. Three short extras are here, which combine to give a light overview of the film's production and intent. Leading off is an Interview with director Abbas Kiarostami's son Ahmad (8:39), who helped finish 24 Frames after his father's death. Ahmad speaks briefly about his father's life and work, and how the lengthy development of 24 Frames changed during the director's final years. Also here is a recent Conversation between Iranian film scholar Jamsheed Akrami and film critic Godfrey Cheshire (9:45), who speak more broadly about the production. Although a few facts are repeated (for example, Abbas Kiarostami developed between 30 and 40 "frames" which had to be carefully chosen from), both participants offer their own insights along the way. 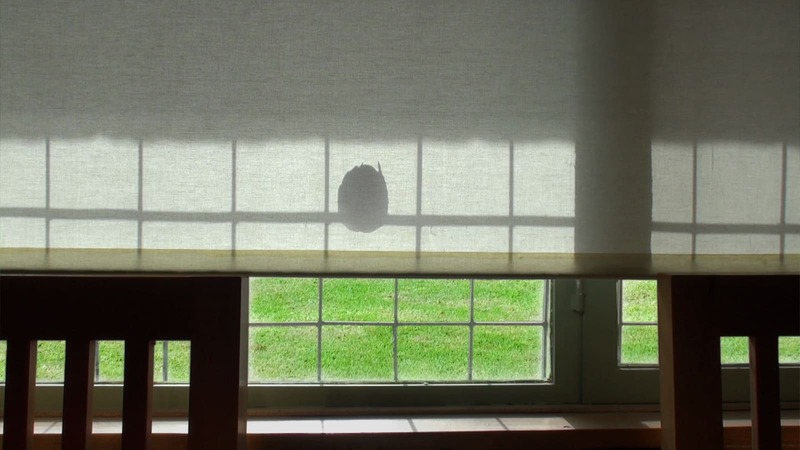 Last up is the short documentary "Print: In Memory of Abbas Kiarostami" (13:59) by Kiarostami collaborator Salma Monshizadeh; it's largely candid footage of the director and his visual assistant at work in the studio, shooting digital footage and assembling elements on the computer. Interestingly enough, several "deleted scenes" are glimpsed, which makes their exclusion from Criterion's Blu-ray all the more mysterious. Finally, we get the film's starkly beautiful Theatrical Trailer (1:21), likewise presented in 1080p. 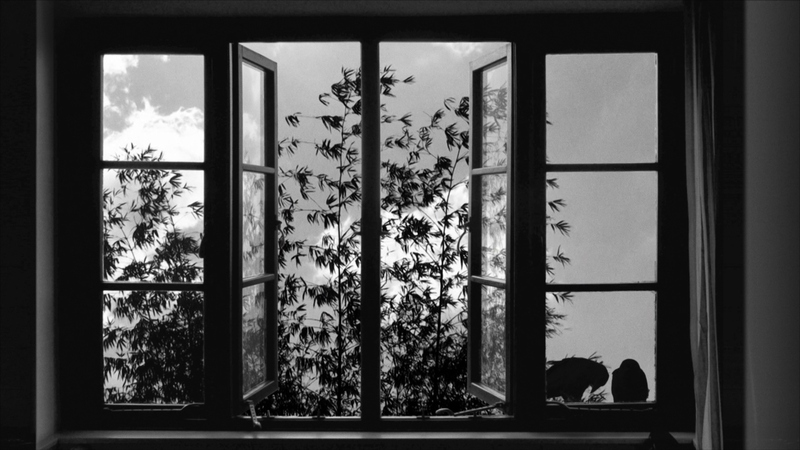 The final film by celebrated director Abbas Kiarostami, 24 Frames is a meditative exercise in short filmmaking that began its life as something different. Initially developed as a series of museum pieces that brought life to existing paintings, Kiarostami eventually moved on to photographs and, finally, his imagination. It's an interesting experiment, but one that only brings enjoyment some of the time: like all meditation, it can be either effective or maddening on different days. Overall, 24 Frames is best described as a fitting end to the director's career, and one that established fans will appreciate more than curious newcomers. Criterion's Blu-ray package serves up a predictably solid A/V presentation, although the all-too-brief extras leave something to be desired. Recommended, but only to the right audience.